Over the past few years, we have had the privilege to review a few different products from The Critical Thinking Co.™ We have truly enjoyed them but I think the product we received this time around has been the trump card. Something Fishy at Lake Iwannafisha was a blast to work through. Miss L has recently been reading a science book on forensics. When The Critical Thinking Co.™ review came up, I jumped at the chance to ask for Something Fishy at Lake Iwannafisha because it would follow the book she was reading perfectly, providing a nice and tidy wrap-up project for her forensics study. Something Fishy at Lake Iwannafisha is designed for students ages 5th grade and up. It is a full criminal case for the student to investigate, studying reports and applying forensics knowledge to solve the crime and make informed decisions about who should be the Person of Interest for the case. It can be done individually or in a group setting. Miss L tackled this on her own, with help from her “assistant” – At Home Dad. He has fairly extensive knowledge of crime scene investigation, gathering evidence, and forensic knowledge application. He was a very valuable assistant and made us realize that this would definitely work better in a group setting in order to have others to bounce thoughts and ideas off of, though this individual setting worked fine. This is about a crime that needs solved. There was a fire that brought to the attention of the authorities a bundle of counterfeit money, a body, bullets and guns. What happened at Lake Iwannafisha? Who is the dead man? Why was there so much cash in the cabin? Where did all the money come from? All these questions and more will be solved by the investigation into the crime(s) committed at the fishing cabin. Or at least that is the goal. However, not all questions will have neat, clear answers. Miss L started out by reading the information about different types of forensic evidence and how each type is gathered and used. The forensics evidence part should be focused on pretty well before tackling the actual case, as knowing a good bit about this is helpful in deducing information at times. Miss L read through it but did not ask any questions. In hindsight, it would have been good to spend a bit of time with her, making sure she understood it. We did got back to it often and she needed those pages to reference throughout the investigation. Miss L, as lead investigator, was given the crime scene report and a page to guide her in taking notes on the report. From there she could ask for any type of report that she thought would help. There were lots of helpful reports for the case, but there were also a couple of “dummy reports” in there – reports that had no true impact on the case. As she noted different names, she would ask for the witness statement for that person. This got her started in thinking through the possibilities and making connections. Witness statements were just one of the many types of reports that she could ask for. There were finger print reports and reports on counterfeit money. There were ballistics test, medical reports, anthropological reports, DMV reports, and more. This does require lots of copies or using your book. The Critical Thinking Co.™ has a generous copyright policy that allows the original purchase to make copies for their home or classroom. The pages are perforated to make them easy to remove from the book if you need to. In order to ease the making of copies of the reports, The Critical Thinking Co has tried to make the PDFs available online. I found in trying to use this resource, though, that only the first page of any of the reports was in the file. So, I still had to make copies from the book. It was easier to do them all from the book, though if the files online were complete that would be such a time saver! Perhaps that can be easily fixed. It took Miss L approximately 9-10 hours to work through this case on her own with some input from her assistant. This included spending an hour or so on learning about forensic science and the different branches of it. The writing of this forensics case study was very well done and enjoyably challenging. This is a product that was truly interesting to work through. It was completely different than anything we had ever used and was a perfect final project for the forensics unit. 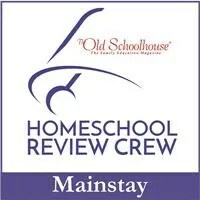 There is currently a coupon available to the readers of the Homeschool Review Crew. Through 12/31/2018, you can get free shipping PLUS 15% off any size order when you use the coupon code TOSCREW18. You can also get free Critical Thinking Puzzles – a $75 value – delivered weekly to your inbox. Sign Up Now! Read the reviews of these products or other families who work on the case file for Something Fishy at Lake Iwannafisha by clicking the banner below. Very nice, thorough review. I love how you have the circle on the worksheet page, it makes me feel like I am looking through the circle of a magnifying glass! How clever! Thank you so much. This was a very fun product. Great review! I love that your daughter was able to work on this with her dad. Moments like this are so precious. Thank you. These moments are precious and I am thankful for them. I thought I had left a comment… my son, after reading your review, thought this would be an excellent product for himself to use. So we’ll be looking into it. I thought you had, too!?! I think he would definitely like this product.